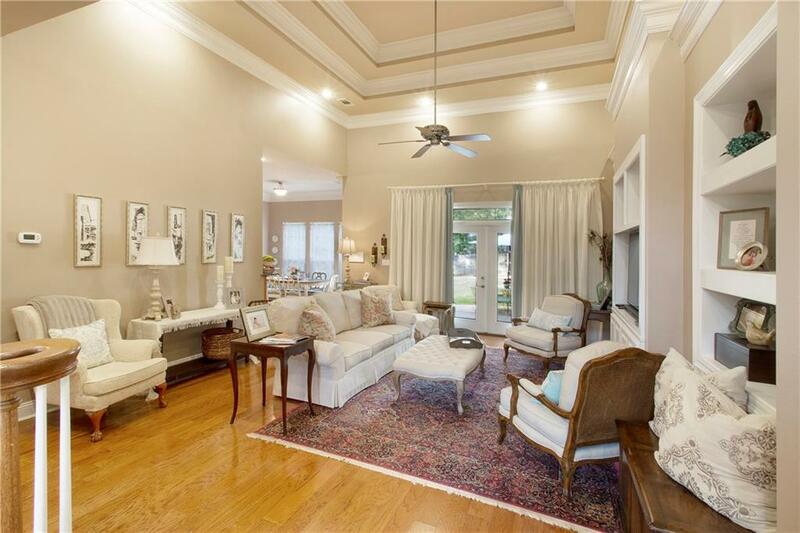 Absolutely Beautiful Custom-built Home for sale in Rock Creek in Fairhope! 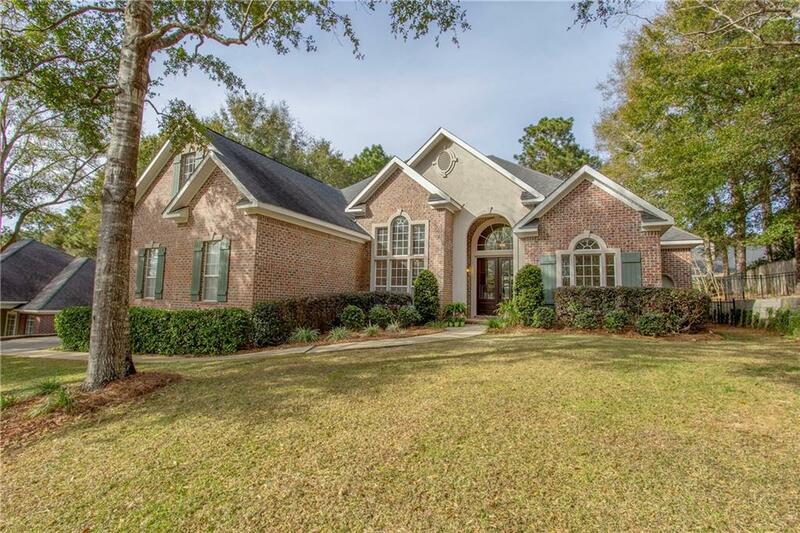 This home sits in a quiet cul-de-sac just a short stroll to the putting green at the Clubhouse! 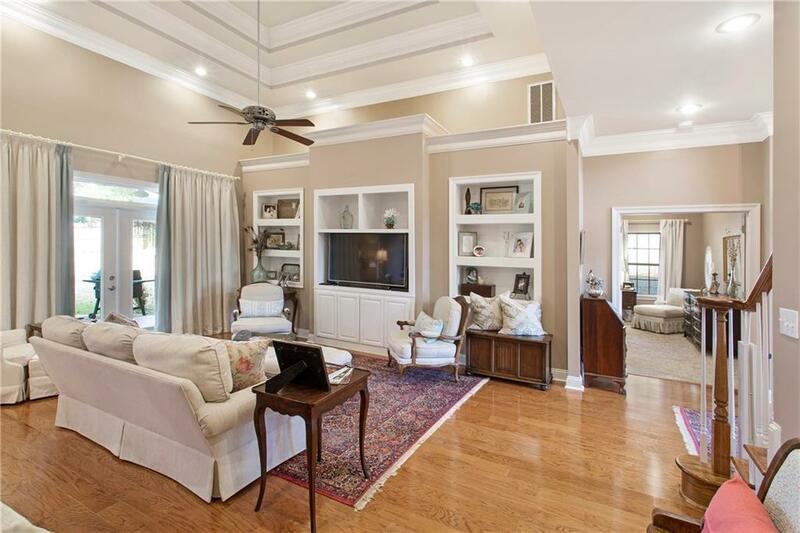 You will love the grand feeling you get when you walk through the front door into the foyer with a view of an impressive living room with a trey ceiling and recessed lighting. Entertaining will be a dream with an elegant dining room that has a high ceiling and features heavy crown molding and hardwood flooring. There is even a 25-bottle built-in wine rack between the kitchen and dining room! The kitchen has attractive ceramic tile floors, granite counters, wood cabinetry, and stainless-steel appliances! 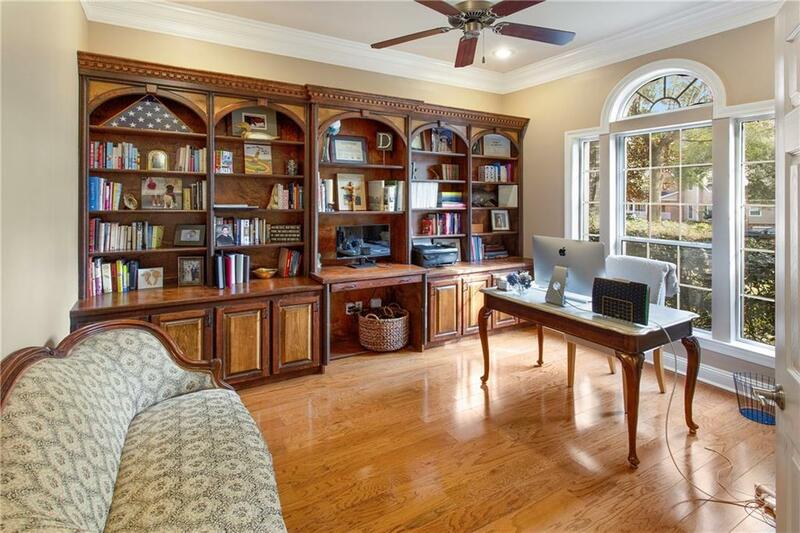 The home office is so wonderful with French doors and gorgeous built-in bookshelves and cabinets. The bedrooms are spaced perfectly through the home, and upstairs has a large bonus room for whoever needs a play space! The spacious master bedroom offers an ensuite with double walk-in closets, separate walk-in shower and jetted garden tub! The inviting back patio is truly delightful with just enough shade and double ceiling fans! The backyard is fenced with plenty of room for play and includes a separate fenced area for our four-legged friends! The nearby Rock Creek golf course is in fantastic shape! The neighborhood offers a recently redone swimming pool thats just gorgeous. The neighborhood dues cover the cost of that pool and they are paid if full for 2019, so be ready to jump in! This Rock Creek home is not only attractive, but its in great condition and functions so well! You are invited to see if this could be your next home! Listing courtesy of Damien Langan of Re/Max Realty Professionals.